Canadian scuba-diver, Sean Smyrichinsky, may have found a U.S. Air Force bomb that was lost in 1950 when a B-36 crashed off Pitt Island in the Haida Gwaii archipelago on a flight from Alaska to Texas. The Canadian military is dispatching a ship off the coast of British Columbia, Canada to investigate Smyrichinsky’s claims that he discovered a long lost nuclear bomb-style weapon. The weapon is being described as “nuclear style” because, while its physical attributes make it indistinguishable from a nuclear bomb to the layman, it doesn’t contain any radioactive material that would give it nuclear capabilities. 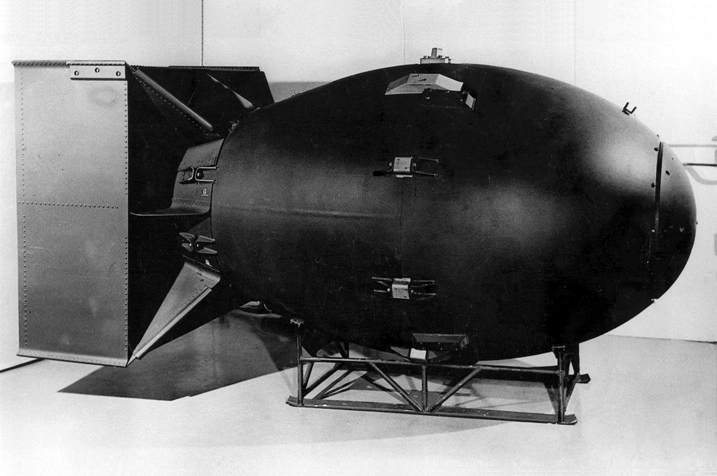 The bomb, which looks like the iconic “fat man” bomb dropped on Nagasaki during WWII, was instead filled with lead and TNT, not plutonium. Shortly after finding the device Smyrichinsky compared it to several photos of the nuclear bombs dropped during WWII and has determined it is a match. Smyrichinsky then sent an email to the Canadian military who responded almost immediately. They plan to investigate the bomb in the coming weeks. Canadian officials have stated that there is and extremely low risk that the object poses a threat to anyone in the surrounding area. Once they investigate the device they will determine whether to excavate it or let it rest as it has since the B-36 bomber crashed on February 13, 1950.